Starting with the design, the 211 is an unpainted natural pencil with a very light clear lacquer. The grain of the incense cedar shines through. It has a light gold ferrule and a brown eraser that was limited to this edition (you got an extra set of brown erasers as an extra). The imprint is what looks like black paint, definitely not foil. It has the old Palomino branding, with the thinner font wordmark and the horse logo. For the core, you're looking at the "Firm", which is the same as the standard Palomino Blackwing 602, so nothing super special here. 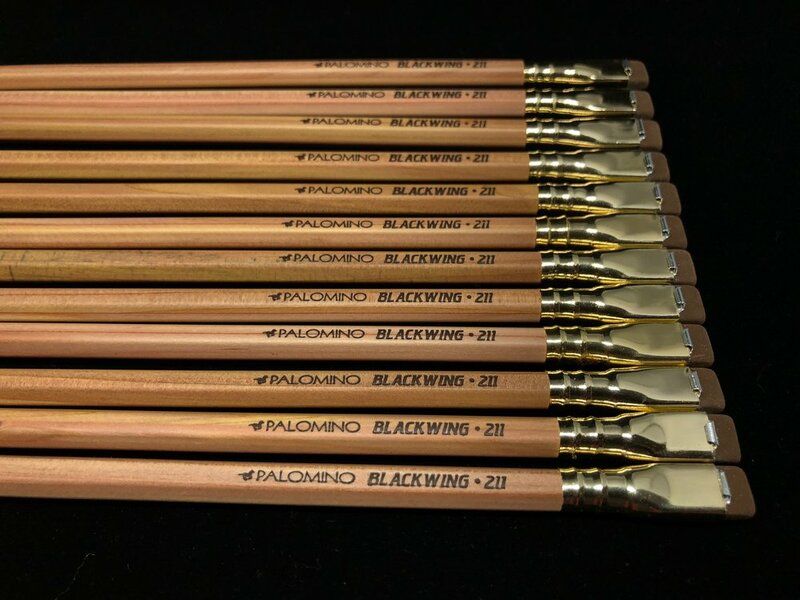 The 602 core is definitely my personal favorite of all the Palomino Blackwing cores, with the "Extra Firm" core from the 24 and 530 coming in a close second. The eraser is what it is: the older Blackwings hadn't yet moved to the dust-free eraser that started with the Blackwing 344, so it's just kinda standard. It's not Musgrave-esque terrible, but it can be a little rough, when compared to a nice dust-free eraser. The pencil is in tribute to John Muir, the environmentalist, and the trail that bears his name. It starts in Yosemite and goes for 211 miles to Mt. Whitney, the highest peak in the continental United States. So why are these so coveted? Well, people love a natural pencil, especially cedar wood ones. 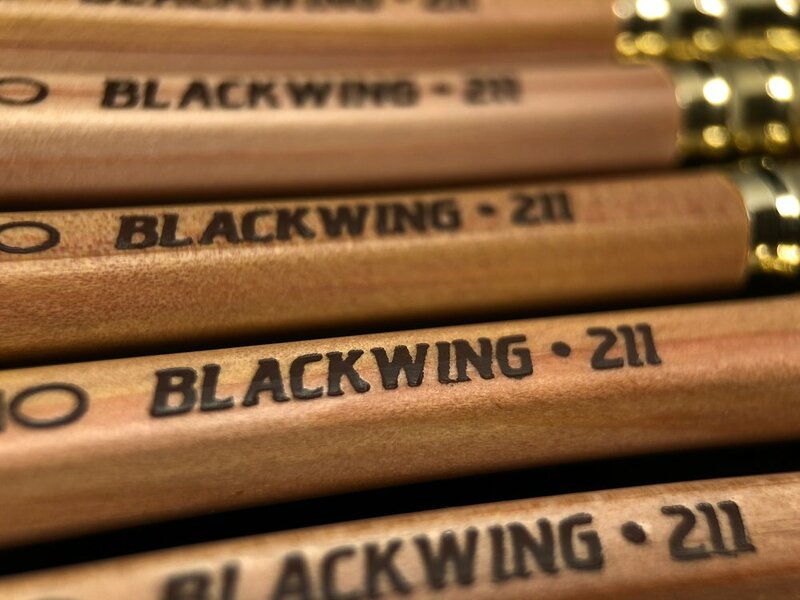 People love a limited edition, and generally, with some exceptions, people love the Palomino Blackwings. These sold out very quickly, and a secondary market developed for these that has only been eclipsed by a few other pencils, mainly vintage original Eberhard Faber Blackwings. A box of 12 is selling for around $250-$300 at the high end on eBay as of this post going live, with singles going for around $40. To me, I understand things like limited edition pencils and notebooks going for high prices because their use destroys them. A limited edition fountain pen, for instance, can be used and taken care of, and can be sold again and again. But $300 for a box of 12 pencils, ANY pencils, is insane. The 211 is a great pencil, but not $40 per pencil great. If you like the core, a PBW 602 is a click away. Heck, if you're reading this blog, you probably have one. If you like natural pencils, there are a ton out there, and the General's Cedar Pointe would be one to grab. Make a hackwing and you'll be close. But if you happen to get one in a trade or if someone is generous enough to sell you a 211 at a reasonable price, they're pretty great. Unavailable. Original product page here.